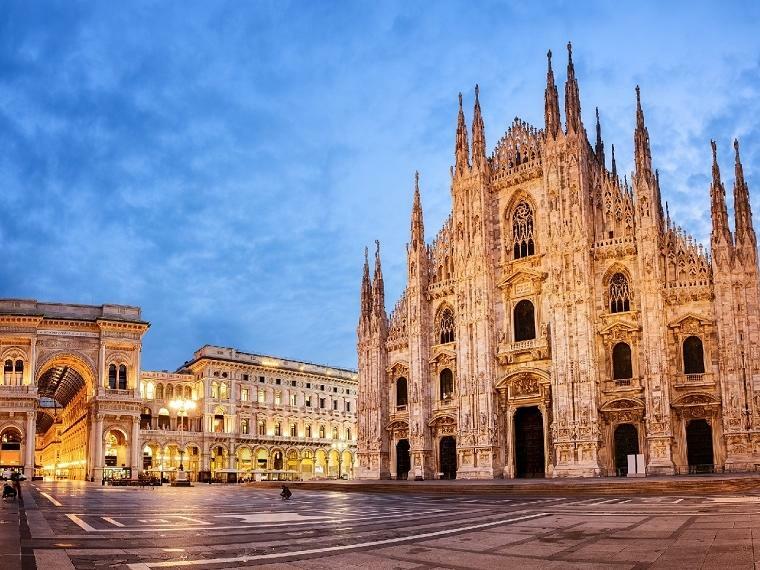 The emblem of Milan and a triumph of the Lombard Gothic style, the Duomo is dedicated to Saint Mary Nascent. Construction began on the imposing cathedral in the late 14th Century at the request of Gian Galeazzo Visconti and Archbishop Antonio da Saluzzo. It is decorated with 3400 statues and on top of the highest spire (108m) there is a statue of the Madonnina, symbol of the Lombard capital, covered in 3900 pieces of gold leaf.